All-Con is a convention that covers many different genres of nerd culture. It's located in Addison, Tx and started in 2005! 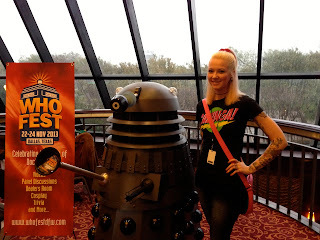 This was my first time to go to All-Con. I was impressed with the diverse feel.. Although there was a lot of Star Wars and Steam Punk themes going on. Both of which I am happy with! 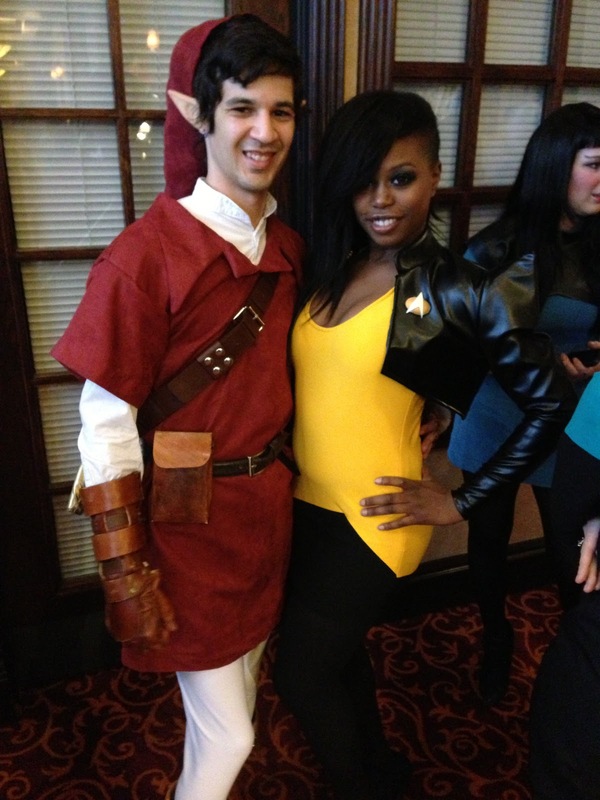 :) I am more of a fantasy/comic girl and this convention had plenty of that. On a different spectrum - it had quite a bit of anime/manga, too. It reminded me of my visits to AKon and Anime Fest with panels and fandoms found in different rooms of the hotel. I only went Friday and Saturday evening so I am sure I missed a lot. Friday I was dressed as Ramona Flowers and Saturday I was in street clothes so I could enjoy watching my friends in the costume contest! 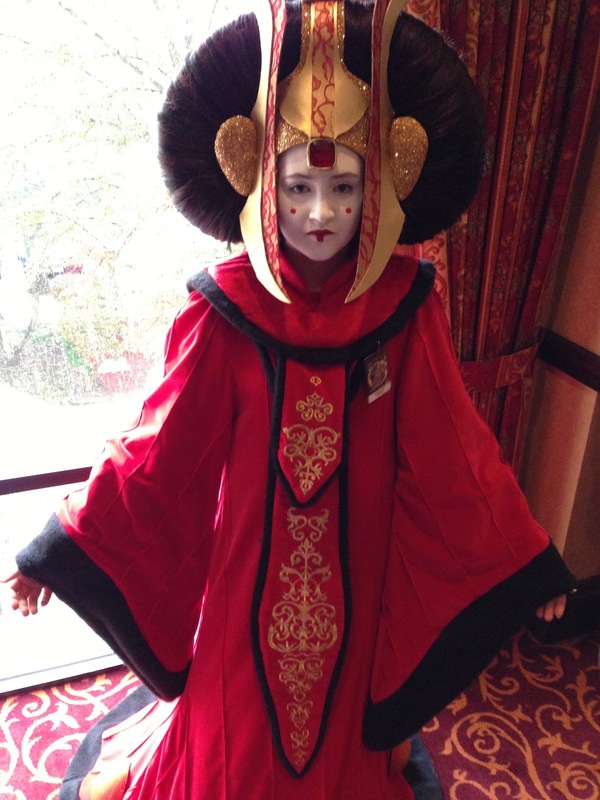 This is one of my best friends Payton dressed as Queen Amidala. I enjoy seeing her and her dad at all the conventions and hanging out with them! These are my other best friends Courtney (above) and Scotty (below). She was a Magnaguard and Scotty was General Grievous. My three friends got picked for second and third in the costume contest! 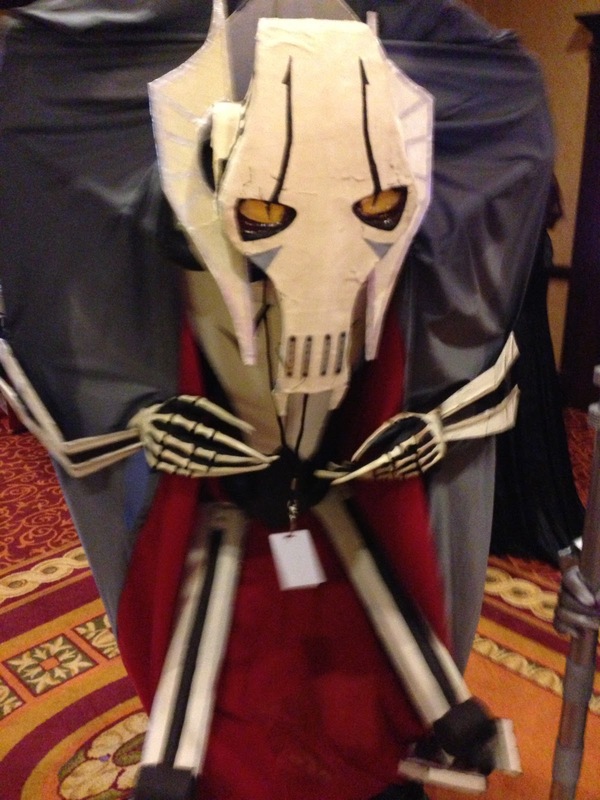 1st place went to a giant wookie (not pictured because he didn't fit on stage lol).. But Courtney and Scotty were still given a cash prize because they were one vote away from a tie with the wookie. Grats to all of you! 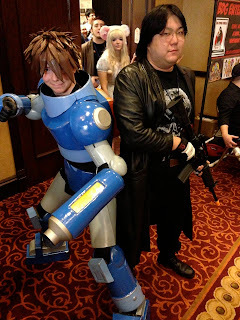 I was also so impressed with this Mega Man! He won first place in his category. Here is CookieCup Cakes as Princess Peach. Isn't she the cutest? 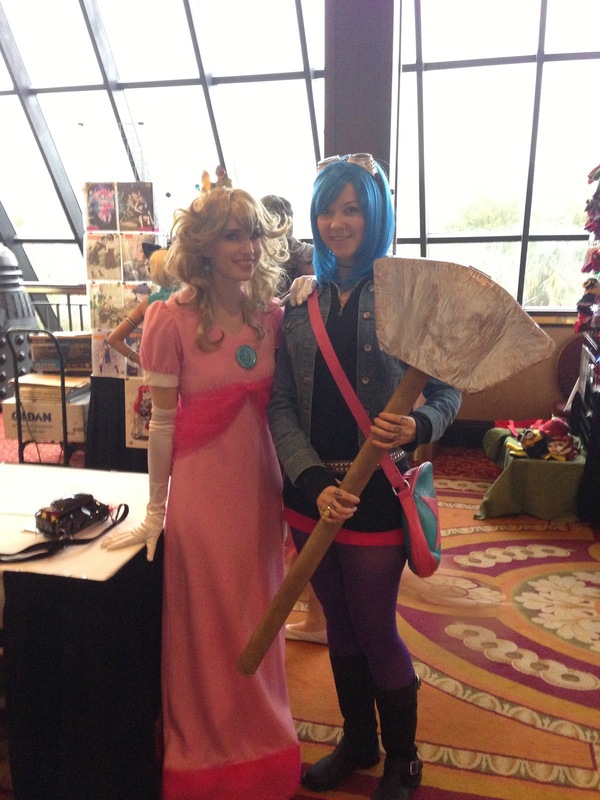 These pics were taken Friday when I dressed as Ramona. Had to get a pic with Payton as Dark Zelda. So cool! 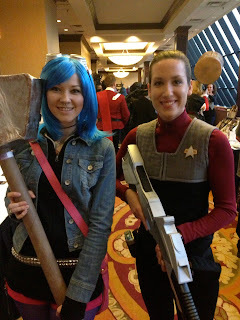 My good friend Erica was there with many other awesome Star Trek cosplayers. This is my blogging buddy James from A Galaxy Called Dallas. 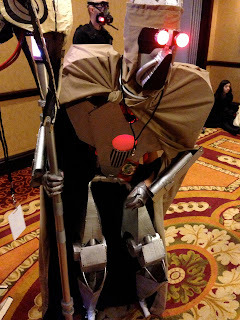 I look for him at every convention and we finally found each other at All-Con! Here's a peek at my "street clothes" outfit for Saturday. 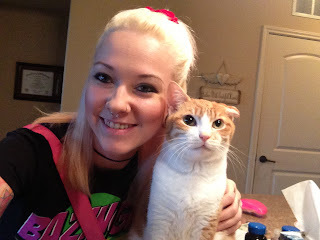 My blue jeans are from Express, Zelda earrings from Ragin' Gauges, and my Ramona Flowers purse from Amazon. I had a wonderful time at All-Con! I am looking forward to next year already. Tickets for registration are available on their website. What is your favorite genre to see at conventions? 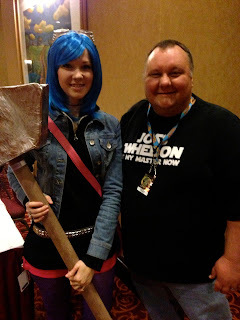 Do you go to meet celebs, buy stuff, hear panels, or see cosplay? I love your street clothes outfit. You look so cute with your hair up high. I love the Ramona costume as well. I still can't believe you made that hammer. Thanks! I had fun being in street clothes for a change. Props and wigs aren't always comfy. This is such a fun blog! You are so pretty and sweet! 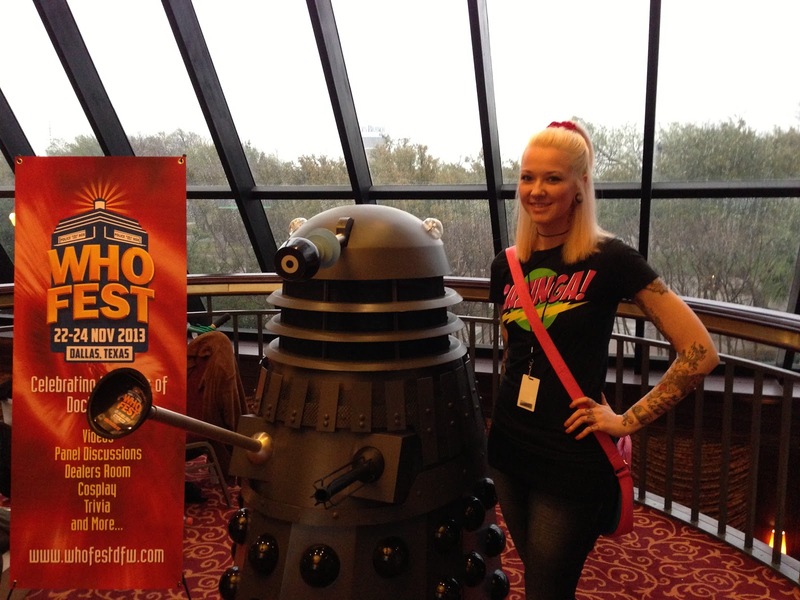 Looking forward to seeing you at the next con! Hey girl! Thank you so much! I can't wait to hang out again, too! Isn't the wookie crazy?! It was so cool to see. He made it himself, too. I definitely recommend going on Saturday at least. Friday was fun but Saturday was really fun! I go to conventions too! 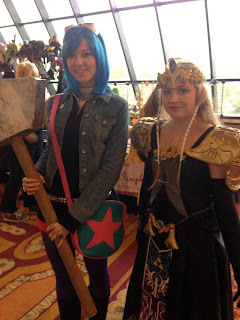 I love the dark Zelda cosplay, I got a photo with a girl dressed as that too.